Meet our beautiful girl Kira. She was admitted into our care with her friend Gizmo after their needs were not being met. Kira is a sweet character and is also very affectionate, she loves nothing more than being stroked and having cuddles. Kira does require some further socialisation and training, currently she can be reactive around new dogs. 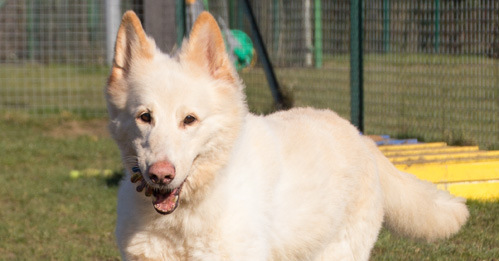 A rural home as the only pet would be ideal for Kira. She would enjoy having lots of new smells to sniff. If you think you can give her the home she deserves, then please visit the Danaher Animal Home website www.danaheranimalhome.org.uk or contact Reception on 0300 111 4321. Kira featured in Pete’s column on Sunday 7th April 2019.